B. Thomas (Arlington, Texas, United States) on 5 June 2018 in Business & Industry. This was on top of a rafting store in Jackson Hole, Wyoming. Looks like fun to me. In what world are we living ; is not it ? 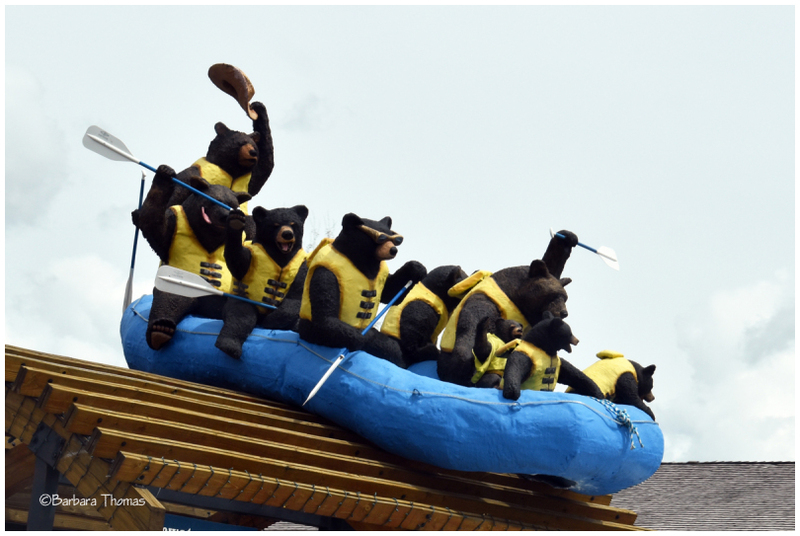 Well if the saints can go marching in, the bears certainly can go rafting. Haha, that's wonderful! Happy ST! Superb ! Happy Silly Tuesday ! The wild bunch for sure! Now that's a Regatta I'd love to have been in..Fantastic shot B .
Oh, what a cute find for Silly Tuesday! !